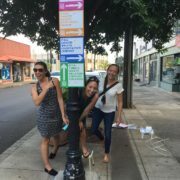 The Wailuku Community Association, in collaboration with the Hawai‘i Public Health Institute (HIPHI) and the Maui Redevelopment Agency, are pleased to announce the addition of new pedestrian wayfinding signage to be installed throughout the heart of Wailuku Town. 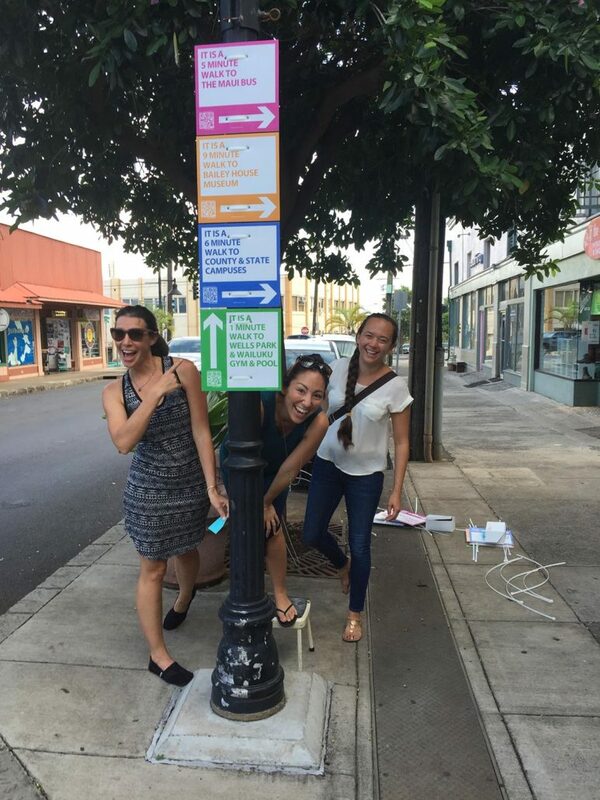 The wayfinding signage is designed to help visitors and residents walk their town to find arts, cultural, and historical destinations throughout Wailuku. There are 55 signs in total that will be installed giving directional information on locations as well as approximate walking times to each site. Wailuku is home to many hidden and well-known treasures that are all very accessible by walking. Some of the areas featured in the wayfinding signage are parks, gyms, shopping and eating destinations, theaters and museums. There will be a kick-off event for the installation of the signs on Friday, September 23, at 2pm. Members of the Wailuku Town business and arts community will be gathering at the ʻĪao Square (62 N. Market Street, next to the ‘Īao Theater) to install the signs. This event is open to the public. The wayfinding signage is partially funded by Hawaiʻi Public Health Institute through the Hawai`i State Department of Health, under a cooperative agreement with the Centers for Disease Control and Prevention.